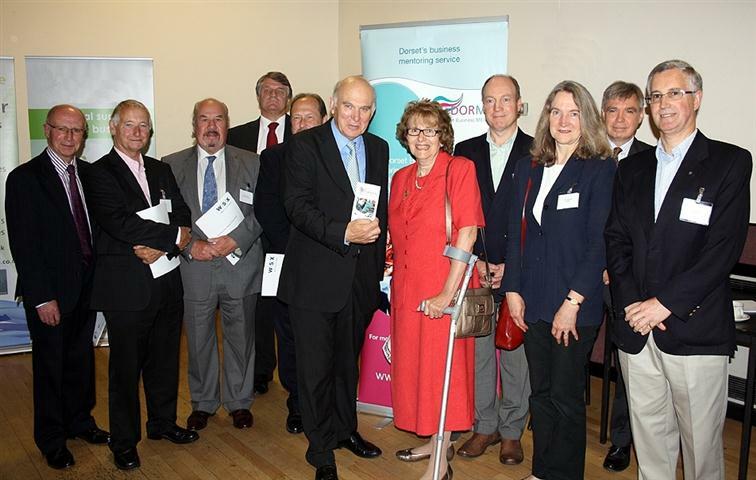 Secretary of State for Business, Rt Hon Vince Cable MP, visited Dorset today to meet local businesses. His day started early with a Breakfast Meeting, organised by WSX Enterprise, which included an interesting Q&A session for businesses to ask the Minister about various issues and Government policies that affect the business community. Amongst the large audience, of nearly 200 people, were several Dormen mentors and before he left, the Minister paused for a photo with the mentors and Annette Brooke, MP for Mid Dorset and North Poole.